0.40 Cts SI1 quality Round Diamond Stud Earrings in 14K White Gold . 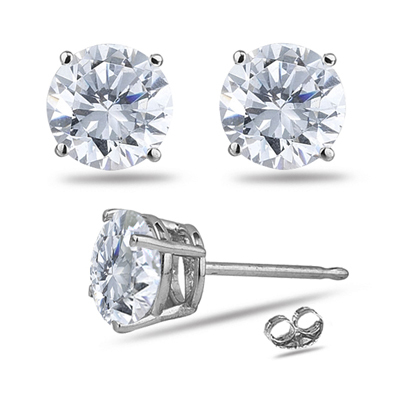 These lovely stud earrings flaunt a round White Diamond solitaire each Four Prong set in . 14K White Gold Approximate Diamond Weight: 0.40 Carats. A simple yet elegant design for a woman with exquisite taste. The earrings come with screw backs option.